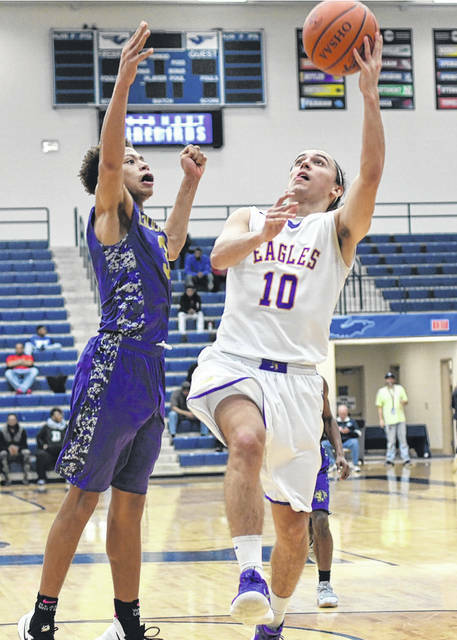 Eaton senior Aaron Tolliver drives to the basket during the Eagles first round sectional tournament game against Thurgood Marshall. 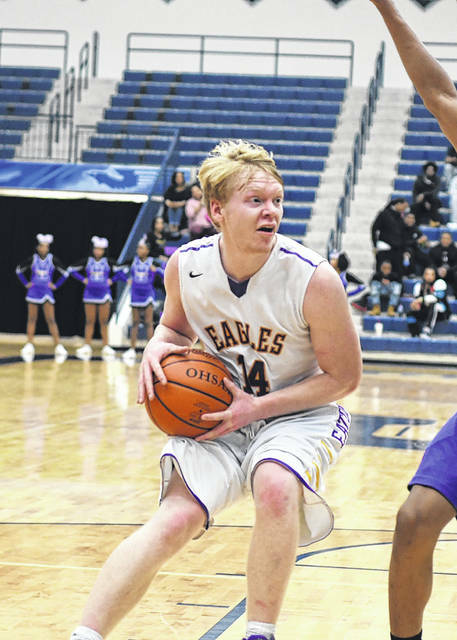 Eaton had its season come to an end with a 76-57 loss on Friday, Feb. 23. 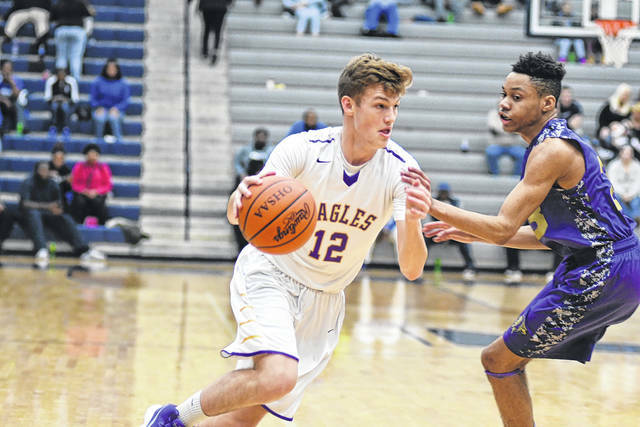 KETTERING — Eaton had the pace right where it wanted — for three quarters. Unfortunately for the Eagles the game of basketball is a four-quarter game. 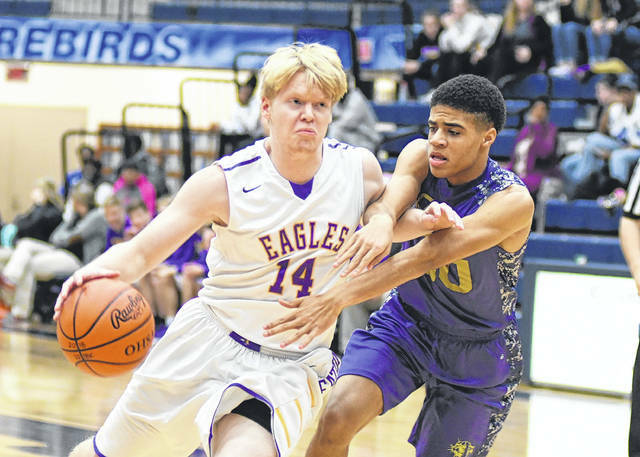 On Friday, Feb. 23, in the first round of the Division II boys sectional tournament, Thurgood Marshall flexed is muscle over the final eight minutes to hand Eaton a season-ending, 76-57 loss at Trent Arena. The Eagles finished the season 1-22, dropping its final 21 games of the season. “It’s been a rough year. We haven’t got the results we want on game nights. 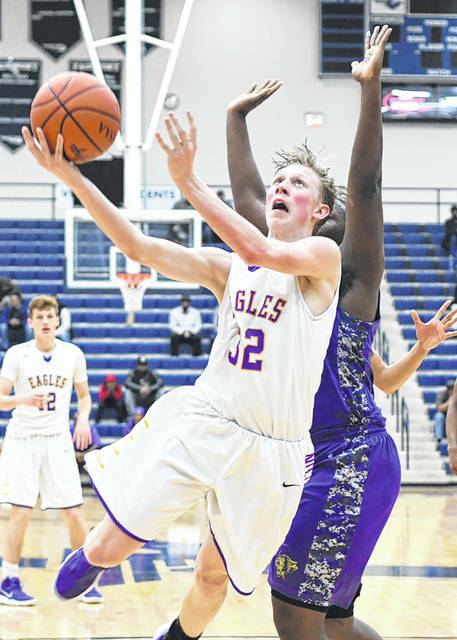 Those guys (seniors) never let us quit and they didn’t let us quit tonight,” Eaton coach Alex Prater said of Aaron Tolliver and Grant Sullender. Eaton, the No. 14 seed, felt good about its chances against the No. 9 Cougars. Eaton held the lead after the first quarter 11-9 the game was tied 24-all at halftime. 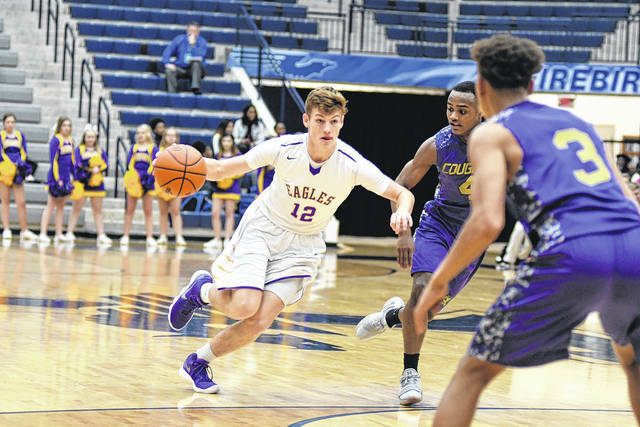 Eaton trailed by as nine in the third quarter on two occasions, 38-29 and 42-33, but rallied to within three, trailing only 44-41 after James Howard connected on a 3-pointer at the buzzer. 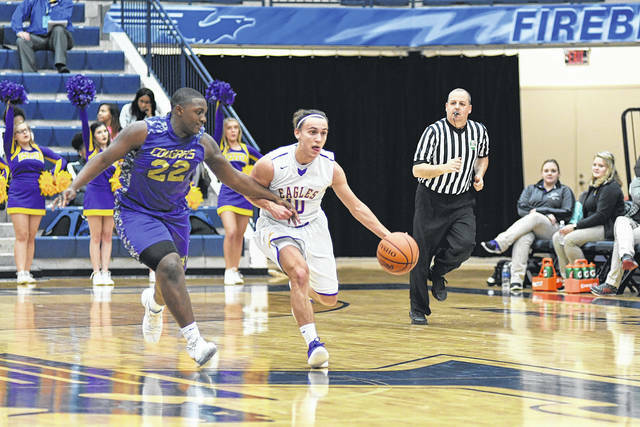 Eaton was able to keep the game close by slowing the tempo and not having live-ball turnovers. In the fourth, that all changed. 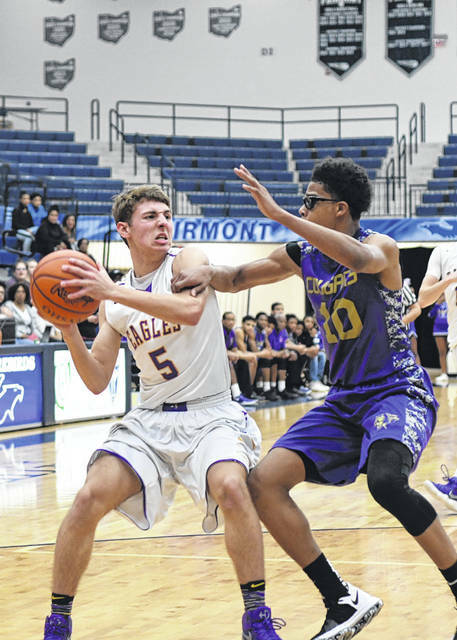 Eaton committed turnovers on its first three possessions and the Cougars made five of their first six shots attempts to build a 58-46 lead with 5:22 remaining and still trailed by 11 at 60-49 with 4:13 to play. The Eagles never got any closer. 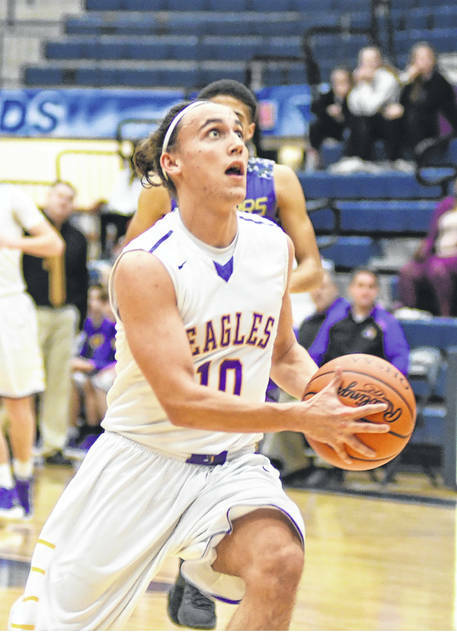 Eaton was led by Sullender’s 14 points. Isaac Manning had 13. Hunter Frost added nine and Owen Baumann and Howard added eight and seven respectively. Eaton committed 25 turnovers on the night. Prater, in his first season, is looking forward to a full off-season with the team, but also realizes the team has room for improvement. Prater said Sullender and Tolliver will be missed.